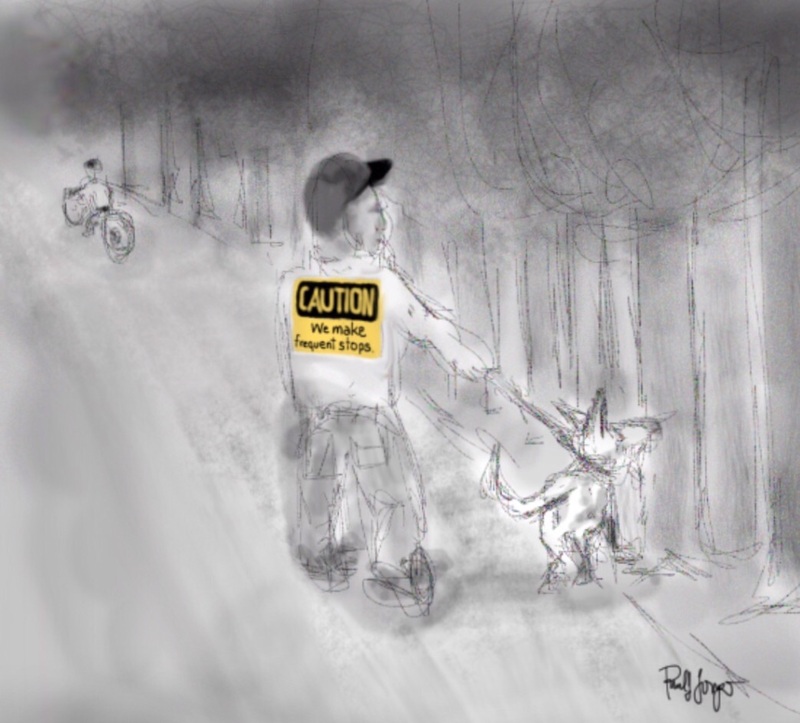 This entry was posted in Digital Artwork, iPad Art, Sketches and tagged bike path, dog, dogs, Love Dogs, Procreate, safety, smells, Sniffing, Walking dog by portfoliolongo.com. Bookmark the permalink. Thanks for visiting. From now on I’ll keep an eye out for your photos and commentary.